R Smith Interiors is a full service residential interior design and decorating practice specializing in New Home Construction and Home Renovation. Our approach to design is to capture and represent the individuality of our clients in every project with an emphasis on functional spaces, dynamic design and meticulous planning. Now accepting clients for 2019! 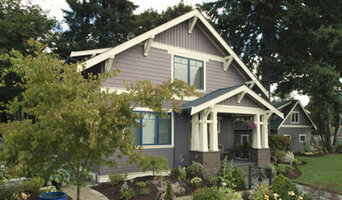 Wai/Gorny Design, inc. is a small residential design firm based in Stanwood Washington. We specialize in carefully designed and crafted projects that range in size from large scale new houses down to small additions and renovations of existing structures. Wai/Gorny Design prides itself on a portfolio of projects that vary stylistically but have several characteristics in common. 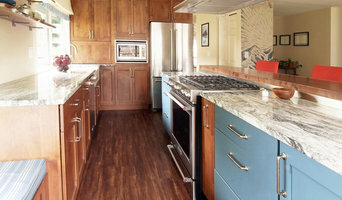 Their functionality fulfills the needs and dreams of the owners. They are beautifully crafted with every element carefully considered. The building is true to the typology of the style no matter what the idiom, it is consistent in plan and detail. Each project is carefully assembled by establishing a dialog between the designer and the client to clearly define their functional needs and aesthetic dreams. Starting with the analysis and selection of the appropriate location and building placement to the exploration of multiple options towards a solution, this dialog continues throughout the process to budgeting, the integration of consultants, contractors and craftspeople through to the choice of finish materials and design of the smallest details. I love helping people navigate a process that many find intimidating. We all know it when we see it, but how do you get the home you truly want? With 15 years of experience in new construction, remodels as well as decorating, I can work with you to demystify the process. Using the latest software, I can help you actually see what your home could look and feel like, before you decide. I am happy to assist with material selection, value engineering and finding just the right tradespeople to get the job done. You can love where you live. 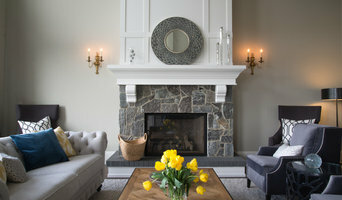 Bari Bax Designs is a Commercial and Residential Interior Design Firm located in South Surrey, BC. Working together as a family team, we offer many combined years of expertise working on office environments, institutional spaces, medical offices, marine interiors, multi-family and single-family residential projects. From Conceptual Design Through Construction... CLT Design/Build specializes in finely crafted residential and commercial projects. With a dedication to client service and the craft of architecture and construction, we work with clients to find creative solutions to fit their site, personality, budget, and schedule throughout the design and construction process. Our company offers cabinetry, exterior & interior doors, interior trims & stair systems. True Colours Design and Lyla Van Dam have a strong background in residential and commercial Interior Design. From large residential custom home Interior Design & Commerical Projects across Canada, to renovation projects in the Fraser Valley. I believe that a home should reflect the personalities of the people who live there. 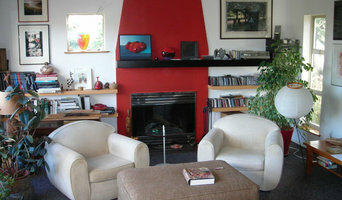 My goal is to help you create a room that welcomes you home, allowing you to relax, rejuvenate and enjoy. For more than 20 years, The Curtain Call Custom Interiors has been creating stunning spaces for clients across Surrey, White Rock and Langley, BC. From one-of-a-kind window treatments to room transformations to complete home makeovers, Joan Walker and her team have consistently delighted clients and surpassed their expectations. The company’s many repeat clients are a testament to The Curtain Call’s reputation for outstanding work and commitment to customer service. Joan’s longstanding and loyal team includes master carpenters, veteran plumbers and electricians, expert painters, European seamstresses, and other building professionals who take great pride and care in their work. Together with Joan’s project management expertise, they form a cohesive team that provides quality workmanship from the start to finish of every project. Since The Curtain Call Custom Interiors opened its doors in 1993, we’ve been building client relationships based on trust, respect and an unwavering commitment to customer service. You have peace of mind knowing The Curtain Call uses a "White Glove Service" mentality in taking care of all the details. Starting with a deep understanding of a client’s tastes, lifestyle and budget, The Curtain Call creates a vision for a space without rushing or hurrying the process. With a perfect balance of form and function, our designs are inspired, achievable, creative, and above all, livable. While our company is renowned for our impeccable attention to detail, excellent project management skills and willingness to go above and beyond, our greatest source of pride is the feedback we receive from clients about how special they felt as a Curtain Call client. Feel free to reach out to us, we would love to hear from you!